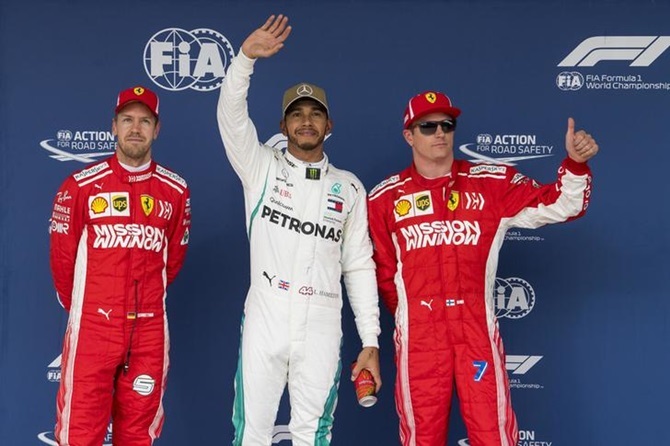 Lewis Hamilton took a big step towards clinching his fifth Formula One title after putting his Mercedes on pole position at the US Grand Prix on Saturday with Ferrari rival Sebastian Vettel starting fifth. Ferrari had looked the faster team in the second phase of qualifying, with Raikkonen top of the time sheets and Vettel second. Another win on Sunday would be Hamilton’s fifth in a row, and Vettel — also a four times World champion - would have to finish second to keep the championship alive to Mexico the following weekend.